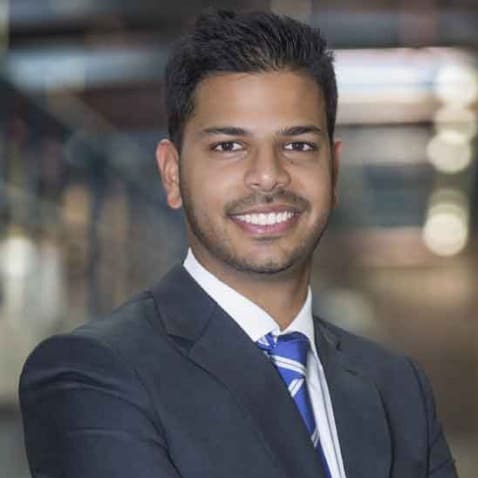 Abhishek Ajay Shah is Co-Founder and Group CEO of RSA Global, a multi-award winning supply chain solutions provider, headquartered in the UAE. The companies in the group include RSA Logistics, RSA-TALKE, RSA Cold Chain and RSA NATIONAL. RSA Global’s core purpose of Solving challenges for a Better Tomorrow enables the company to deliver growth and success to its wide array of multinational and boutique customers by offering bespoke, quality supply chain services that are underpinned by a strong focus on technology. Under his leadership, in the short 8 years, the RSA team has developed a variety of industry specific solutions, and in the past year alone, RSA received 3 accolades including Gulf Capital Business of the Year, Employer of the Year, and Gulf Customer Experience Award. RSA is also rated as an ‘A’ enterprise by Dubai SME. Abhishek, who is an Endeavour Entrepreneur, has dynamic management and leadership style. Abhishek holds a masters degree in Civil Engineering with Business Management from Warwick University.